Best Cannabis for ADHD | Can Cannabis Help With ADHD? A good deal of recent research has added yet another medical purpose to the long list of cannabis benefits: cannabis strains can be used to treat ADHD and ADD. Short for Attention Deficit Hyperactivity Disorder, ADHD is most commonly diagnosed in children, while adults may be diagnosed with the similar condition, ADD. These neurodevelopmental disorders cause symptoms like short attention span, impulsivity and, in the case of ADHD, hyperactivity. Certain types of cannabis have proven useful in curbing these symptoms. The cannabinoid compounds found in cannabis are very similar to many of the neurotransmitters created by our own body’s endocannabinoid system. One of these neurotransmitters is dopamine, and a lack of this chemical in the brain’s prefrontal cortex is thought to be a major contributor to ADHD, due to its work in regulating attention and memory. This regulation of dopamine production isn’t a new concept for ADHD treatment. For decades, patients have been prescribed Ritalin and Adderall for their symptoms, but while these medications do work, they come with serious potential side effects like heart palpitations, hair loss, fever, tremor, impotence, and stomach pain. While cannabis can produce side effects such as headaches, these reactions are usually minor in comparison, and can generally be avoided by taking small, medicinal doses. There’s another issue with medications like Ritalin and Adderall. As amphetamine and methylphenidate stimulants, they may improve focus and concentration, but they don’t promote relaxation. Cannabis can take on the symptom-suppressing role of these prescription drugs, while at the same time calming mental and physical tension. This helps people dealing not only with their ADHD symptoms, but also with the side effects of their prescription medication. 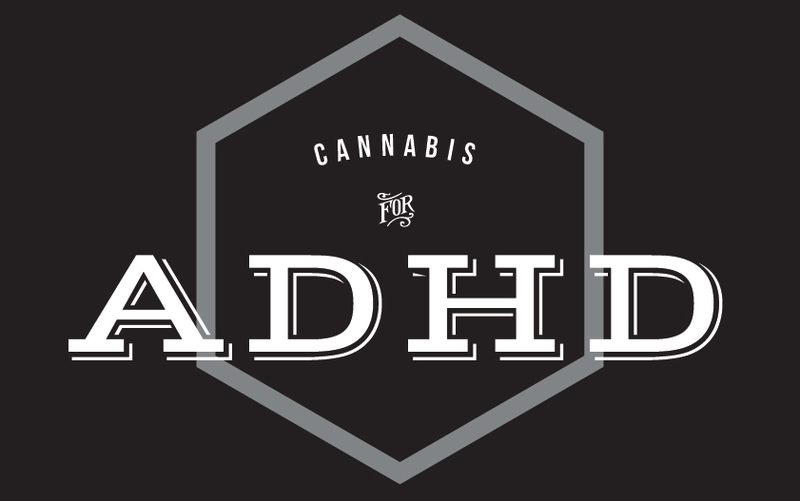 Not only is cannabis a good, relatively safe treatment for ADHD, it is also the type of coping substance to which many people suffering from the condition turn. Research has found that people prone to impulsivity and hyperactivity self-medicate with cannabis, even without being aware of the benefits. Stories from people diagnosed with ADHD supports cannabis’ ability to improve focus and normalize cognitive functions, enabling patients to live normal lives. Some patients have found that, after trying a myriad of prescription drugs, cannabis is the only medication that works for them. A 2016 study undertaken in the UK backed up many of these anecdotal claims. During the study, 30 patients with ADHD were given a cannabis-derived spray containing equal amounts of THC and CBD. After four weeks, all the subjects were experiencing less hyperactivity, impulsivity, and inattention, as well as better emotional stability. If this balanced combination of THC and CBD is the defining factor in this study’s success, that’s good news for young people with ADHD, too. CBD prevents THC from causing a psychoactive effect, so such medications may be deemed safe, even for adolescents whose brains are still developing. At FARM, we carry a number of different products that could prove beneficial to people struggling with ADHD or ADD. THC and CBD capsules can help you ease away from your current medication (following your doctor’s recommendation, of course), and tackle sleep issues and depression sometimes caused by ADHD. For another discreet relief option, try Charlotte’s Web from Medi Bloom. This high-CBD tincture is applied under the tongue and rapidly absorbed into the body, to quickly lift the mood and increase focus, while also soothing stress and insomnia. Whatever your condition and however you want to treat it, FARM has an outstanding product that can help. Simply speak with one of our staff members to learn more about how this wonderful plant can help you!